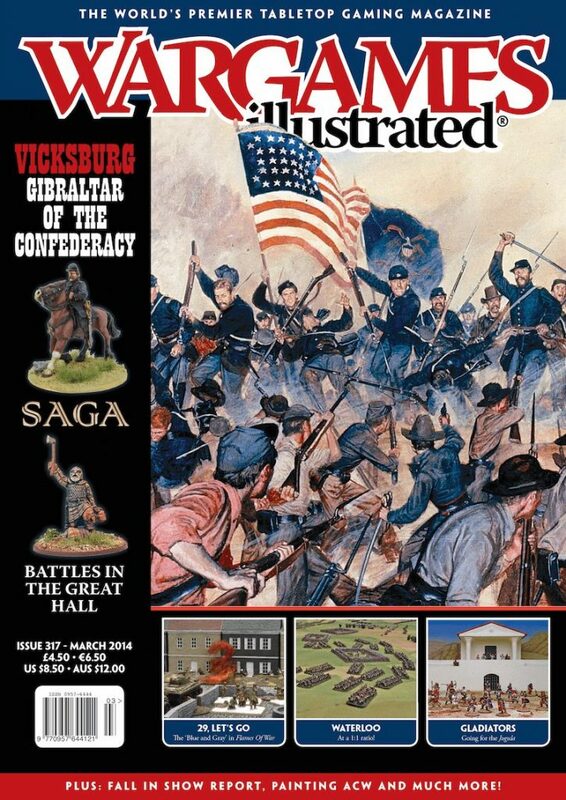 The March 2014 issue of Wargames Illustrated. Taking the theme of Vicksburg. Our War Correspondent Paul Leach sets the scene for our theme articles on the fall of the “Gibraltar of the Confederacy” with his overview of the events that led to the vital hammer blow in the West. Over a decade ago, ACW aficionado Bill Moreno executed plans for creating two sets of wargames covering two of the critical campaigns in the Western Theater – Vicksburg and Chattanooga. In this article we present you with The Vicksburg Campaign, as it played out at Recon and HISTORICON 2013. We were recently invited down to Gripping Beast Towers to play out a Saga game using their new Great Hall. Much drinking, smashing of chairs and throwing of axes followed. Read all about it here. Paul Leach uncovered some interesting tales about the midnight raids conducted by both sides during the 47-day long Siege of Vicksburg. Here’s how you can play them out. Wayne Turner tells us about the new Flames Of War Italy compilation set. Throughout the course of our recent popular series Outfitting the American Civil War, we were often asked what colors we recommended for painting up Confederate and Union troops (the Federal trousers in particular). In this article we lay out the colors we feel will give you great results. KUNYE! ISIBILI! KUTHATHU! GOBBLE THEM UP! The release of the new Black Powder supplement Zulu! provided use with the ideal excuse to play out a Anglo-Zulu War game with one of its authors. Few of us tend to take our projects to the level that Stephen St Clair has decided to take his. Stephen is just about to put the finishing touches to a project close to 30 years in the making – 1:1 ratio armies at 6mm scale for the Battle of Waterloo. The Battlefront team present a look at the 29th Infantry Division – ’Blue and Gray’ – in Flames Of War. Bored with the tedious grind of daily life in the Roman Empire? Need excitement? This could be just the article for you…. Neil Smith takes a look at the new Studio Tomahawk gladiator game: Jugula. Jon Palmer has an interest in the variety of ‘Cold War Gone Hot’ scenarios, and the Main Battle Tanks that accompany them. Here he talks about the development of these tanks. We take a close look at some of the best tables on show at Fall In! 2013, held in Lancaster, PA, USA. Jon Sutherland guides us through his almost-three-decade obsession with all things Zulu. From enjoying learning all he can, to wild purchases, and creating his own rules, we bring you the fruits of his labours. 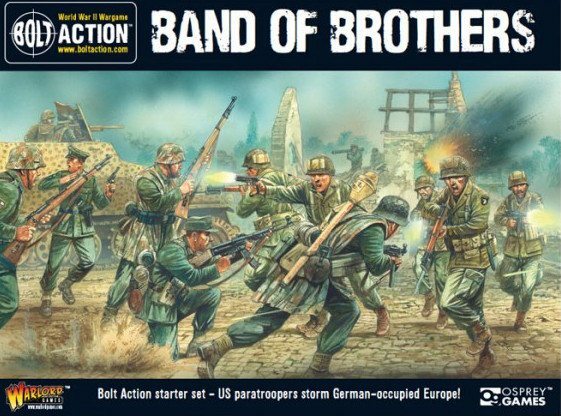 Regular columnist Barry Hilton returns to discuss wargamers’ attitudes towards fiction over fact.